This high-quality model, enlarged 2500 times, is placed on a background with an artistic rendition of a skeletal muscle fiber and other neurons, showing how the neurons and muscle fibers interact. 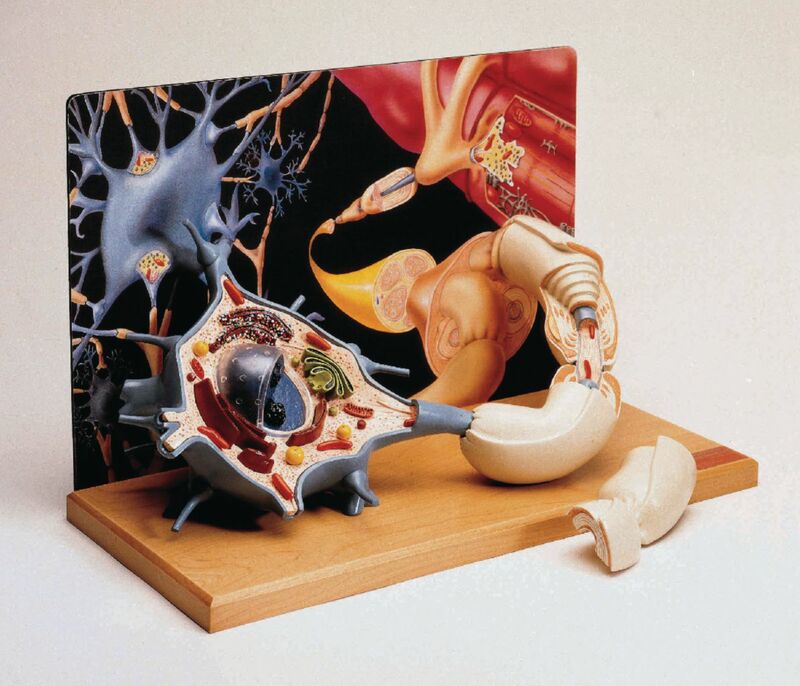 The cell body of the model has been cut away to expose the cytological ultrastructure, making branching dendrites, a myelin-wrapped axon, and a synapse all clearly visible. The different layers of the myelin sheath, which is formed by Schwann cells wrapping themselves around the nerve, can be studied by lifting off a section of the axon. The two-part model is mounted on a hardwood base.